5.) Stage 1 Company Store – Disney’s Hollywood Studios is home to many thrilling and classic attractions that bring the magic and adventure of television and film to life. Guests who explore the park can enter into the Star Wars universe, travel to The Twilight Zone, and even shrink down to the size of a toy and play in Andy’s backyard. When guests are looking for a laugh in the park, they should head to the Grand Avenue area to enjoy Muppet Vision 3D. This attraction is housed in a majestic theater and brought to life with humor and chaos like only the Muppets can create. 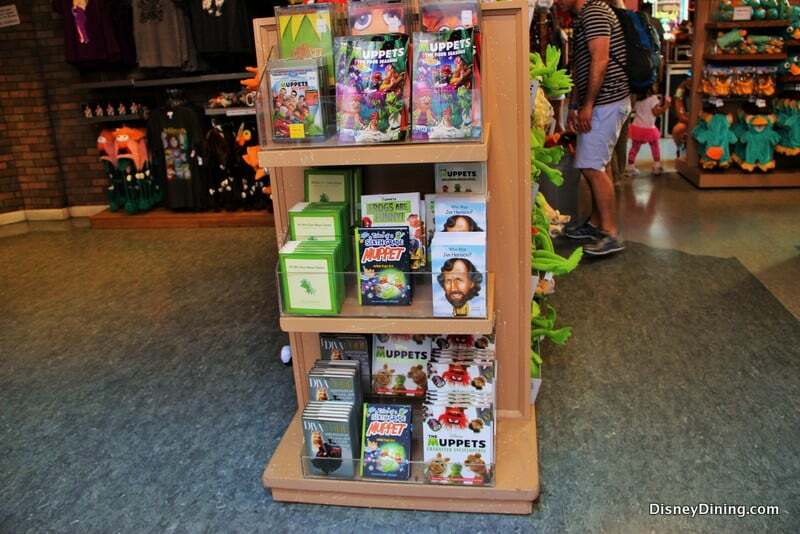 After enjoying the show, guests exit the theater and find themselves near the Stage 1 Company Store which sells generic Disney merchandise in addition to unique Muppet options such as t-shirts and plush dolls. Also found within the Stage 1 Company Store are two pressed penny machines that many guests walk right by without noticing. The first machines has the three choices of Kermit with the Muppet Vision 3D logo, Fozzie Bear with the logo, and Miss Piggy with the logo. The second pressed penny machine has the options of Flik with the Disney’s Hollywood Studios logo, Iridessa with the logo, Heimlich with the logo, and Tinkerbell with the Walt Disney World logo.